What do they want and will they get it? 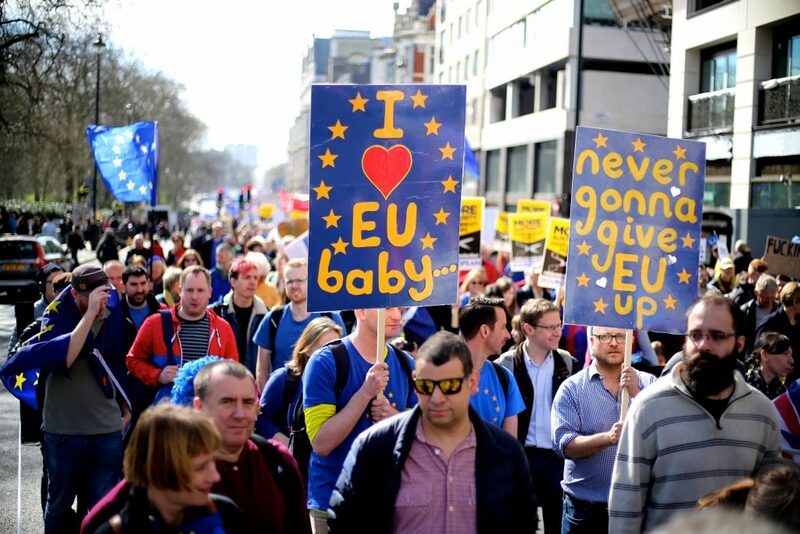 We took a look at the things people are calling for, what the pros and cons of them would be, and how likely to EU is to agree to them. On the 15th January 2019 MPs voted on whether the UK should accept Theresa May’s Brexit deal. Their answer was a big fat no. May lost the vote more badly than any politician has for any proposed policy, ever. Ouch. So, what now? Well, the opposing Labour Party has called for another vote this evening (16th January 2019) on whether May should be allowed to stay on as Prime Minister (called a no confidence motion). Pundits think she’ll probably win that, because if she doesn’t it’ll trigger a general election, which Labour might well win. Tory MPs are unsurprisingly not keen on that plan, and neither is the DUP, a Northern Irish party who doesn’t really like what Labour is about. Together, those MPs make up a majority of the voters, so if they won’t vote against May, she’ll stay. Even if Jeremy Corbyn (leader of the Labour Party) does take over, his promised course of action on Brexit is pretty much the same as May’s: go back to the EU and try and get a better deal. So, what should May/Corbyn ask for? We look at some of the most popular wishes floating around the UK at the moment. What: Most visions of Brexit Britain involve stopping the current status quo of completely free movement and trade with the EU. That means the UK will need some sort physical border to check what and who is coming in and out and catch people trying to break the rules. Handily, most of the UK is surrounded by a natural border: the sea. But Northern Ireland (a part of the UK) is part of the same landmass as Ireland (an EU member). And, inconveniently, pretty much nobody wants any sort of physical border between Northern Ireland and Ireland. Bit of a tricky one, that. The solution May and the EU came up with was the so-called Irish backstop. 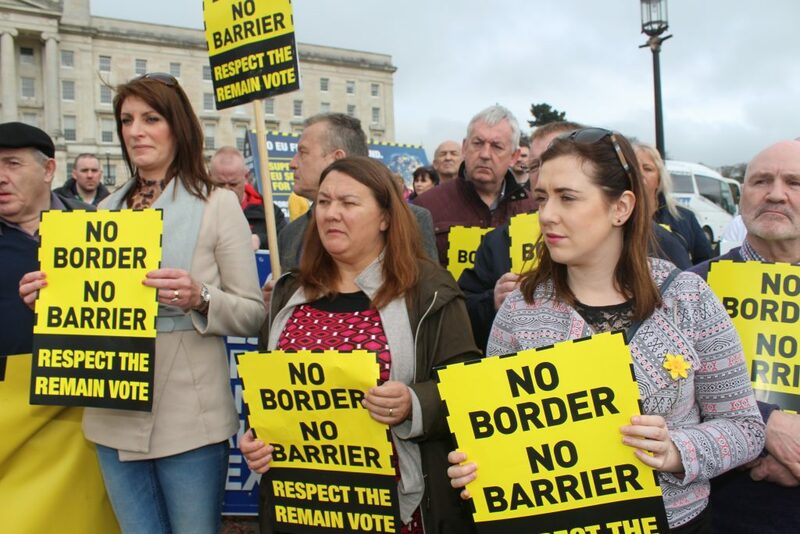 The Irish backstop basically meant that until the EU and UK came up with a better solution, Northern Ireland would just act like it was still part of the EU, and the UK’s border would for all intents and purposes just exist around the British mainland. Problem solved, right? Wrong. Lots of people (particularly Northern Irish people who like being part of the UK) were r-e-a-l-l-y not happy about the idea that they would be treated like they (a) weren’t part of the UK, (b) were pretty much part of Ireland. They wanted to dump the Irish backstop plan entirely. Benefits of scrapping the backstop: Makes it 100 percent clear that Northern Ireland is part of the UK and stops Eurocrats from being able to throw the rulebook at a single scrap of British soil *insert patriotic cheers*. Problems with scrapping the backstop: Whether Northern Ireland should be part of the UK or Ireland is a very sensitive subject. In fact, it was one of the issues that underpinned The Troubles; a period of violence which engulfed Northern Ireland, Ireland and the British Isles from the 1960s to 1998 and during which 50,000 people were killed or injured. It’s still a pretty hot button issue, but one that was mostly put to rest by the UK and Ireland joining the EU and its four freedoms (of goods, services, money and people). The four freedoms mean that for practical reasons (like travelling around or doing business) it isn’t super obvious if Northern Ireland is Irish or British, which was a compromise the two sides could live with. A great big border security check point might damage that illusion a little. Likelihood of scrapping backstop: Not great. The EU has said it won’t talk about any trade deal with the UK unless the question of the Irish border is dealt with. It would be cool with the ‘technological solution’, where whizzy bits of tech means stuff can be border-checked without any physical infrastructure… but unfortunately, that technology hasn’t been invented yet. What: When polled, the vast majority of the British public (90 percent) said they would like to keep free trade with the EU after Brexit. A big majority (70 percent) also said that they would also like to get rid of free movement between them and the EU. Free trade means countries can buy and sell things from each other without any limits or tariffs (taxes). Free movement means citizens of those countries can go to visit, live and work in each other's territories without any restrictions or time limits. Benefits of keeping free trade and ditching free movement: Most Brits get exactly what they want, which tends to make people happy. And fans of free trade with the EU say it brings big benefits to Britain by making it easier/cheaper for Brits to get their mitts on things that are only produced on the continent. They also say free trade makes all Brits richer, because businesses have access to more customers and subsequently can make more profit, hire more staff and pay more taxes. Similarly, most Brits think immigration has a negative impact on them and their economy and lives would be improved by reducing it. When polled, Brits say that immigrants take up resources they think British people deserve more: 58 percent said immigrants put too much pressure on public services like the NHS, 70 percent say they make affordable housing more difficult to get, and one-third said migrants make it harder for Brits to get jobs. Other studies suggest many Brits are concerned about immigration distorting British culture and diluting the share of the British population that is white. Problems with keeping free trade but ditching immigration: Plenty of other people think free trade is bad for people and economies. They blame it for the decline of certain industries and loss of jobs in certain areas (like manufacturing in the north of England). Or they say most of the riches it creates goes to big businesses which then become powerful enough to push politicians into allowing them to do things that are good for the company but bad for societies (like not paying much tax or not giving their staff decent work benefits). Meanwhile, fans of free movement say that ditching it will make Brits poorer(more migrants means more workers paying more taxes and coming up with more life-enhancing or money-making ideas and inventions). Or that it'll cause problems for British expats in the EU who might be kicked out of their jobs and home in retaliation. Likelihood of UK getting free trade and restricted immigration: Really not very likely at all, because the EU has been pretty damn insistent that you can’t have some of its four freedoms and not the others. And it’s got a pretty powerful incentive to stick to its guns: lots of other EU countries would also like to restrict immigration and only don’t do so because they care more about keeping EU benefits like free trade. But if the EU let the UK off this deal, other countries would almost certainly demand to follow suit. Because the four freedoms are so central to EU ideology, that would essentially mean the death of the EU as it currently exists. What: The EU has asked the UK to pay off its financial commitments before leaving, which has become known as the ‘divorce bill’. Why does the UK have financial commitments to the EU? Because when it was a member it agreed to pay for certain things that the EU will be billed for after Brexit day. For example, pre-referendum the UK agreed to partly pay for an EU budget that would run from 2014-2020. (The EU budget goes to things like pepping up poorer areas, including in the UK, and foreign exchanges for students, including British ones). So the EU wants the UK to pay its full share of that budget until 2020. 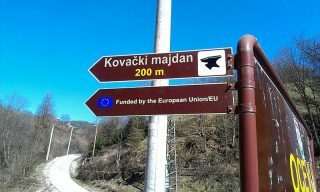 Similarly, where the UK said it would help pay for specific projects, say building a new bridge somewhere, the EU thinks it should honour that commitment. The UK and EU have agreed that the amount owing is £39 billion. But lots of people are saying that Britain shouldn’t pay the EU anything and keep that money to spend in the UK instead. Benefits of keeping the money: The British government gets an extra £39 billion in its kitty! Woohoo! They can spend that on more NHS doctors or school textbooks or nuclear weapons or whatever British people want. Problems with keeping the money: It’s a pretty sucky move. Imagine if your S.O. asked you to sub them for an expensive festival ticket and then broke up with you, went to the festival, and refused point-blank to pay you back. Plus, keeping the money will make other countries less inclined to trust Britain to keep any promises it makes in the future. Which, incidentally, might be a bit of an issue when the UK goes to try and make all those new free trade deals it wants post-Brexit. Likelihood: If Britain wants a deal with the EU, it’s almost certainly going to have to cough up. But if it walks out without a deal, it can just refuse to pay without fear. Unless, of course, the EU decides to sue the UK for the money via the European Court of Justice. What: Some people think Brexit is just a flat-out mistake and we should make a U-turn, sharpish. They point to studies (including from the UK government!) 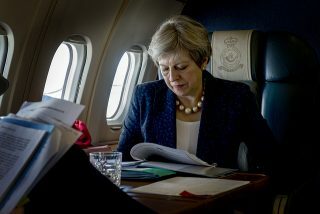 that say Britain will be poorer out of the EU, under any kind of deal, than it would be within it and to interviews with business bosses who say that Brexit will mean lots of job losses as companies either decide it’s more profitable to move out of Britain or struggle to make as much money. Lots of people also say that what most Brexit voters thought they’d get by leaving the EU doesn’t match up with reality, and therefore another referendum would show that most Brits actually now want to stay in the EU after all. Answer? Operation cancel Brexit. Benefits: Lots of tricky problems - like the Irish border thing - would be instantly resolved. Everyone who is a fan of free trade, free movement, or the EU in general is happy. Nobody has to worry about the various disasters that lots of people think will hit the UK if there’s a no-deal Brexit. Problems: People who think the UK should Brexit at any cost or that the first referendum is the only public vote on the matter that can be considered democratic would be thoroughly pissed off. Some Brexiteers have even warned that there will be riots and violence on the streets. And all anti-EU sentiment is unlikely to evaporate, so the issue will continue to cause arguments and divisions in the country. Plus, trust in politicians and democracy could go down. Likelihood: The EU has said the UK can stay pretty easily as long as they do it before they officially leave (i.e. March 29th 2019). They don’t even have to ask other EU members. But British MPs from all parties don’t seem keen on the cancelling Brexit plan, because they’re too worried about a huge backlash and being labelled as crooks who ignore the ‘will of the people’. 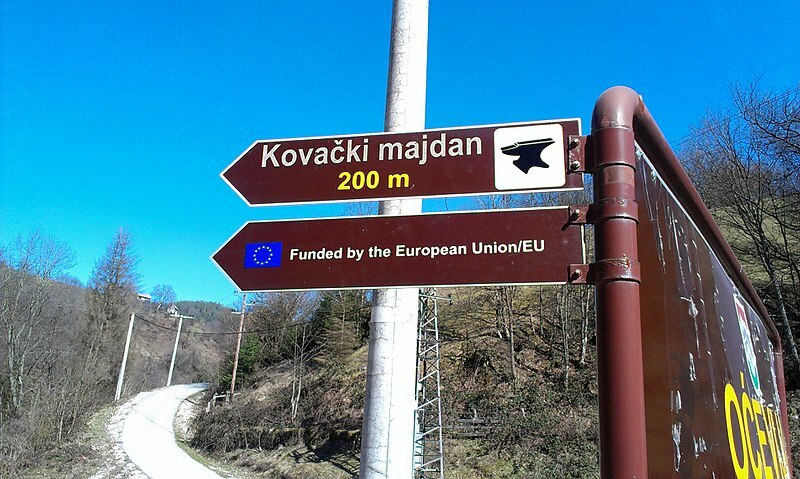 What actually is the EU?